Preheat oven to 400°F. Cook 3 large pancakes using Bisquick™ pancake mix, following package directions for one batch of pancakes. Set aside cooked pancakes. 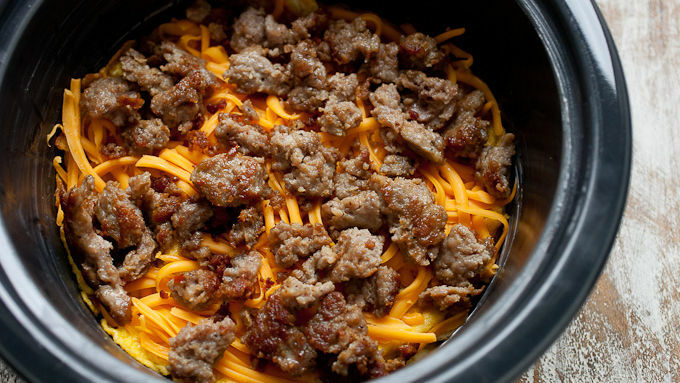 Cook breakfast sausage in a large skillet, breaking it up as it cooks until it’s browned nicely and cooked through, about 8 minutes. Season sausage with salt and pepper. Wipe skillet clean and add a drizzle of neutral oil. 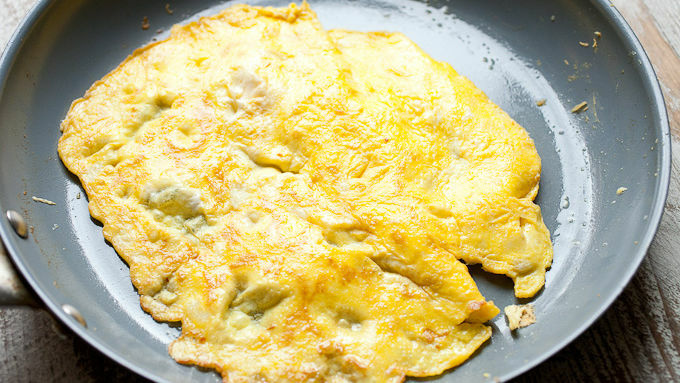 Add two eggs to skillet and let cook into a round shape, roughly the size of the pancakes (it doesn’t have to be perfect). Flip eggs so they cook through or cover the skillet to cook the top of the eggs. Slide out cooked eggs and repeat with next two eggs to make 2 round egg discs. In a large round casserole dish (or on a baking sheet) build “lasagna” with a large pancake topped with an egg disc, followed by half the grated cheese and half the sausage. Repeat the layers a second time and top the whole thing with the last pancake. Bake the dish for 15 minutes at 400° F to melt the cheese and warm everything through. Slice the dish into 6 pieces and serve with maple syrup! Ladies and gents, say hello to your new favorite breakfast! 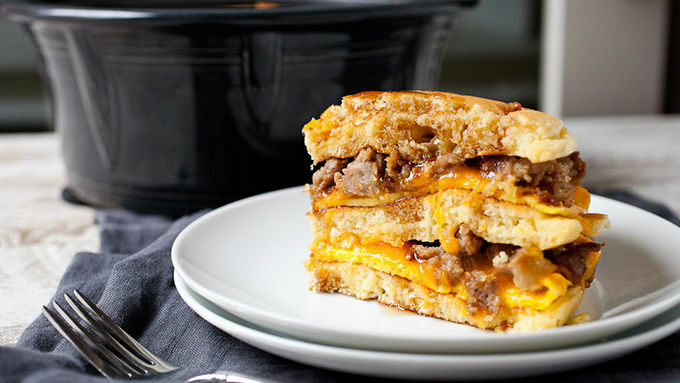 I call it the savory and sweet breakfast lasagna because it has everything you want: eggs, cheese, sausage and fluffy pancakes! It might sound a little strange but trust me, it totally works. Especially when you drizzle maple syrup over the whole situation! 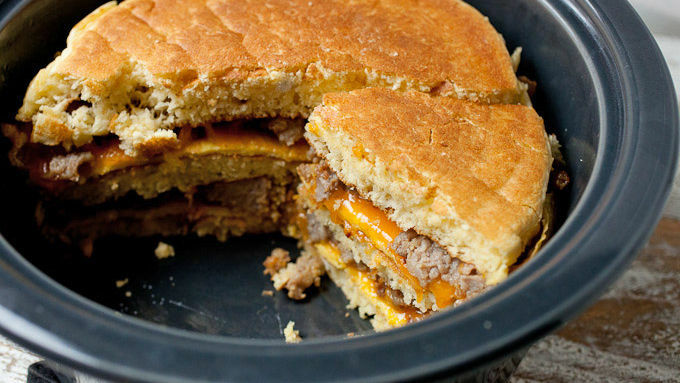 There are really only a few ingredients to this masterpiece, so let’s tackle each one. The sausage. 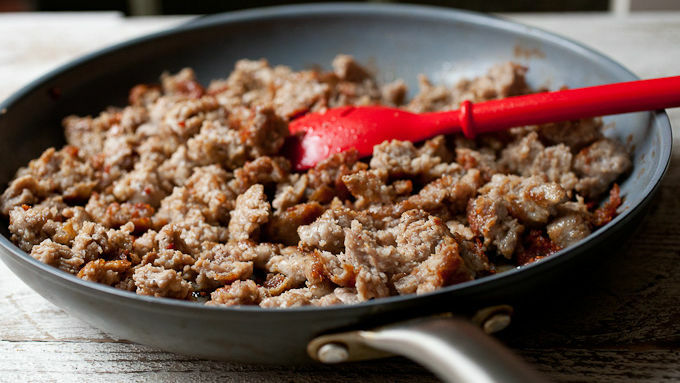 I like to use breakfast sausage (not spicy) and just cook it in a skillet, breaking it up as it browns. The “noodles” in this breakfast lasagna are pancakes! 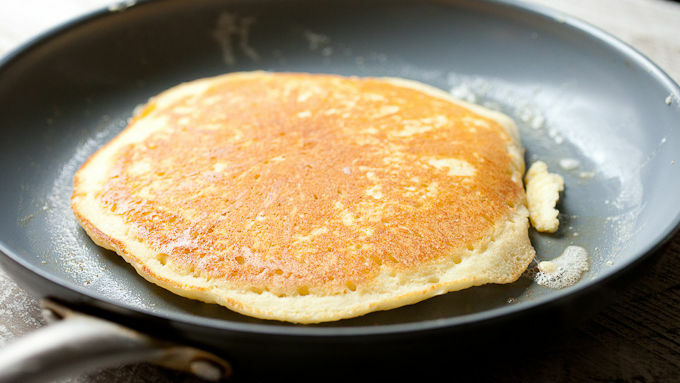 I just used the standard Bisquick® recipe to whip three large pancakes. 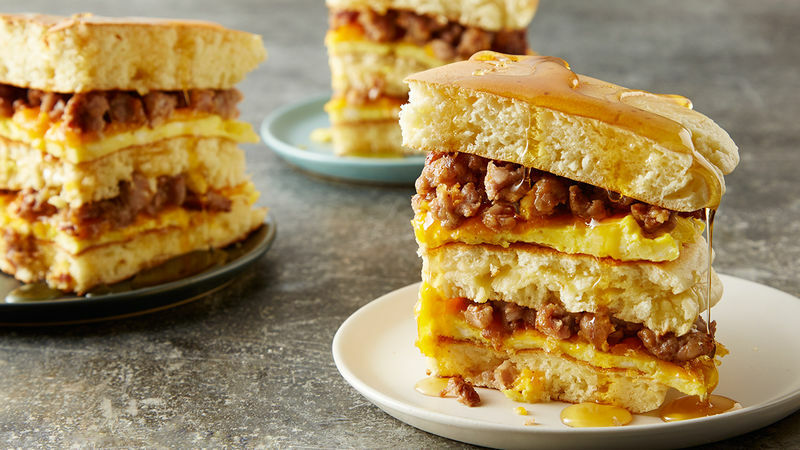 Besides the pancakes and sausage, a thin layer of egg ties everything together. Ideally the eggs would be the same shape and size as the pancakes, but don’t worry about perfection. It’ll be delicious even if everything doesn’t match up perfectly. I used a large round casserole dish for my version, but you could just stack everything on a baking sheet if you wanted. Slice it up and serve with maple syrup.